The lining fabric is now solid black!! I am a Pre-K teacher. 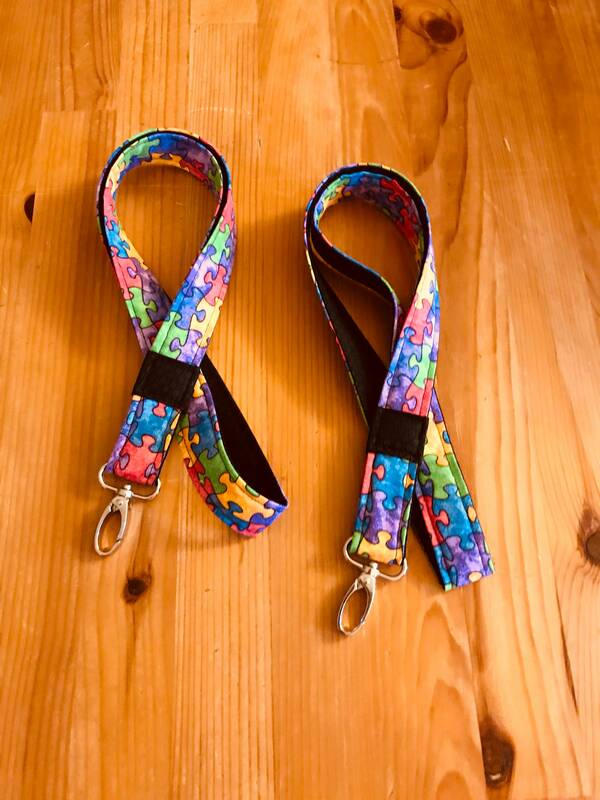 I have had special education teachers and assistants ask when I’m going to make autism awareness lanyards. Here they are! 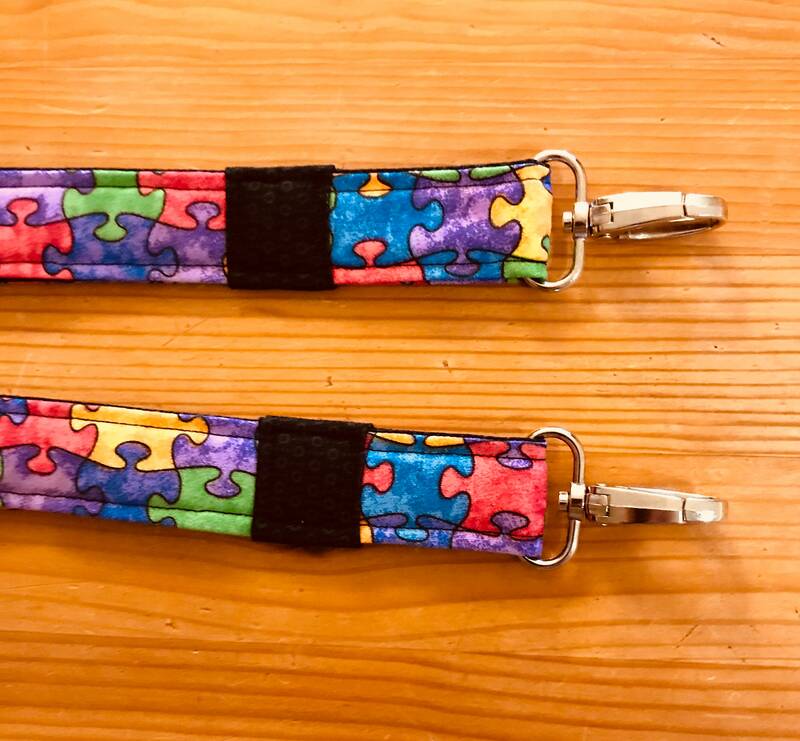 I combined a colorful puzzle piece print with solid black fabric for the back. They are made out of comfortable 100% cotton. They measure approximately 21 1/2" long. I wear one of my lanyards to school everyday, so I KNOW they are comfortable to wear! They may be machine washed and laid flat to dry. You may touch them up with an iron after they are dry. All feature my Tea Hill Cottage label. The metal swivel clasp is sturdy and will hold your ID. 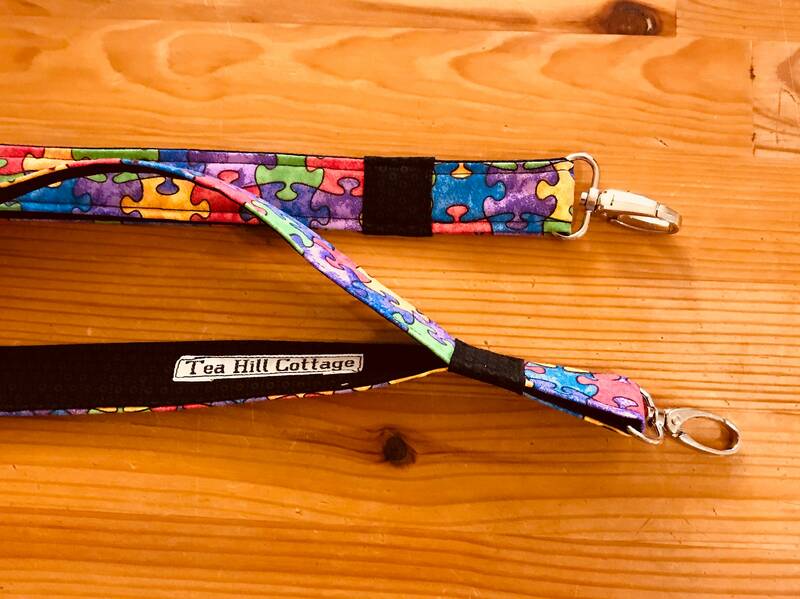 The lanyards were made in my smoke free, pet friendly home.